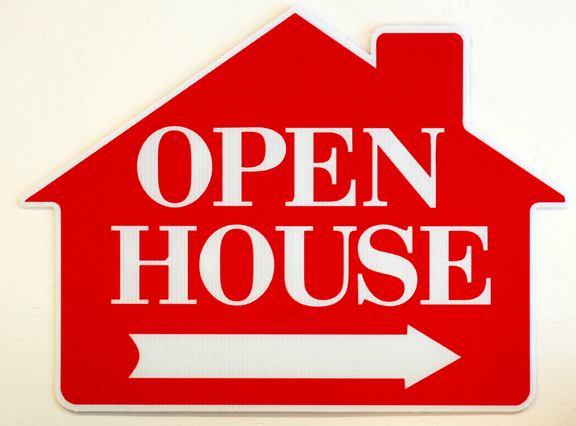 Open House: noun – A period of time during which a house or apartment for sale or rent is held open for public viewing. About a year ago my husband and I reached a point in our lives when we realized that after over twenty years of living in the same house, there might actually be a time in the foreseeable future when we would like to move on. He feels no rush of excitement at the idea of cutting the grass every week. I, sadly, have misplaced a lot of my interest in edging, weeding and mulching the garden. Although I still enjoy relaxing in my yard admiring my plants and watching the birds play in the birdbath, we don’t really need much of a yard anymore. What really soothes our souls is water. It is our hope to live in a house some day that backs onto a harbour or Lake Ontario. You pretty much have to invest at least a million dollars to live on water in our current location, but by moving 20 or 30 miles farther from the city to a townhouse, we might be able to afford a home with a water view. We think a small property, with its small garden, would be adequate and a fair trade for the satisfaction of living on water. For various reasons, a move is not imminent, but we have taken up attending open houses as our new hobby. A couple of real estate agents have told us that it’s an excellent idea to get to know what types of homes are available and what you can expect to get for your money before you are serious about moving. You can also familiarize yourself with an area and get a feel for the community, not to mention the obvious fact that it’s just fun and interesting to see what others have done with their homes. Watch for upcoming posts that chronicle what we’ve learned about houses and fellow house hunters by attending area open houses. I feel that clicking this Open House sign should take me to fascinating house previews. Good idea – I’ll remember that when I get around to writing some reviews.